Shannon Beal, Realtor at JBeal Homes, certainly believes in making the most out of life. Whether it’s helping people find their dream home, or playing the piano, or planning a performance for the Mankato Symphony Board, or being a mom of 3, she tackles each role with zesto! Here’s a glimpse into how she does it all day in and day out for family and community. I marvel at women like you who manage everything so well…you are a mom, a business leader and very involved in the community. What is one routine or “thing” you have that helps you manage everything? A good routine for me is beginning each day with a run. I started running a few years ago and really enjoy it. My husband Jason and I even ran our first 10k at the Mankato Marathon this fall to celebrate our 10-year anniversary! I like the solitude of it, listening to great music, being in nature and prepping for the day. And one thing that I’m very dependent on is my Google Calendar! I’m a pretty organized person and I’ve found the online calendar to be extremely helpful when juggling work appointments, the activities of my three kids, volunteerism, and of course, the social calendar! I get a big kick out of color-coding everyone. Staying organized is a must for me. I used to be able to coordinate all the schedules a week in advance, but now I’m too busy to look two days ahead. I just take one day at a time. What is your favorite thing about being in real estate? I’m very blessed to have found a career that I love. Selling real estate isn’t work for me, I truly enjoy it. I’m one of those weird people who look forward to Monday. My favorite thing is, of course, the people. Meeting so many great people from our community (or people new to our community) and being a part of their lives during such a momentous occasion, really creates a unique connection. And each new listing presents the opportunity to market a property in a unique way. I love the graphic design and online marketing that each listing affords. You are very involved in the community, why do you feel it so important to give back? Being involved in the place that I call home is very important to me for several reasons. I believe in leaving a place in better shape than I found it. I believe in creating a fantastic place for my children to call home. I believe that living in the Mankato community is phenomenal, and want my clients to believe me when I tell them that! I love being involved with organizations that are meaningful to me. I went to college to be a music teacher and am a classical pianist myself, so being involved with the Mankato Symphony Orchestra has been very rewarding. I’m currently the chair of the board and love being involved at this level. There are so many fantastic board members, musicians, staff and patrons who love music as much as I do that it’s a very natural fit. The Mankato Symphony Orchestra has been producing top-notch performances and I encourage everyone to attend a show. It’s quite a blessing to have this level of music in our community. I’m also the chair of the grant committee for the Educare Foundation and love staying involved in education by funding grants to the classrooms in the school district through this great foundation. Do you have a mentor or someone that helps you in business and life? Real estate is one of the few careers where the majority are women. I’m surrounded by a number of great women selling real estate in our community and I feel proud to work with them and stay inspired by the work that they’re doing. My dad was a wonderful man who gave back to our hometown. He set a great example in supporting his community, humbly, without being asked, and for making community feel like family. My husband Jason is my daily mentor. Yes, he’s my boss at work, but we are truly great friends and business partners. He’s taught me in so many ways that it doesn’t so much matter what you say to people, but how you make them feel. We consider clients to be family and value the client experience right up there with making a sound investment, and I can attribute a lot of the culture we have at JBeal to him. Often, I hear friends tell me that they could never work with their spouse, but I consider myself very lucky. On a beach with no cell service! I love reading, so getting away and ploughing through 3-4 books in a week is always great. What is one important lesson you’ve learned over the past five years or so? Oh, there are so many! I strive daily to “work hard and be kind”. But the most recent life lesson for me has been, “everyone you meet knows something you don’t”. To me that statement serves as a reminder to truly listen and learn from everyone I encounter. And on the flip side, to be brave and vulnerable enough to share myself with the people I meet. To be sincere, cut through the superficial and get to the meaningful. We all have a story to share, right? 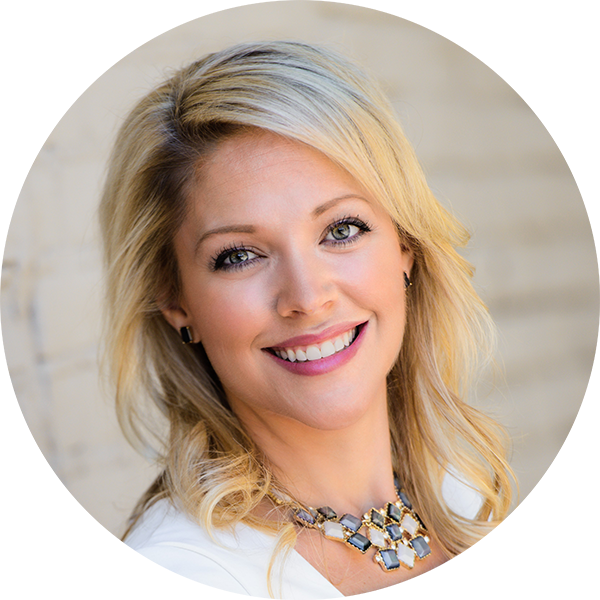 Shannon is a mom of three, agent for JBeal Real Estate Group, and involved in the following: REALTORS Assoc. of Southern Minnesota Special Events Committee; REALTORS Assoc. of Southern Minnesota MLS Committee; Educare Foundation Board of Directors; Chair of Grants Committee; Mankato Symphony Orchestra Board of Directors; Chair of Marketing Committee.